A Van Gogh around your shoulders! 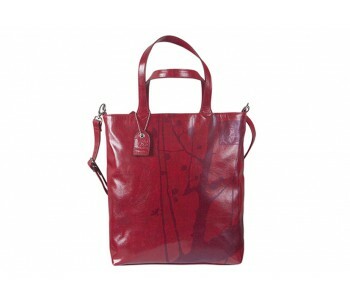 It's possible with this beautiful ruby-colored bag with a fragment of Vincent van Gogh's "Flowering plum tree". As beautiful as it is practical with an inside width of 36 cm, a zipper pocket, and two small slots for cell phone and keys. Unlike any other bag! 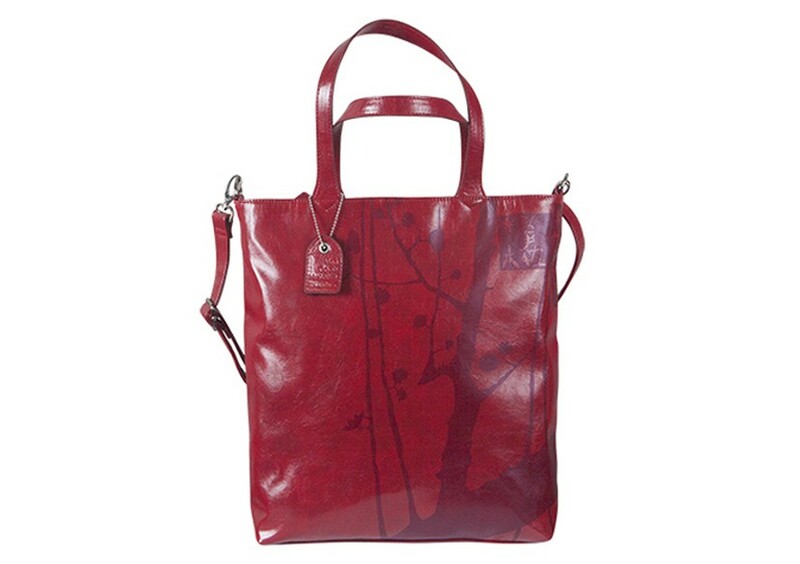 Beautiful ruby-colored ​​bag with an excerpt from Vincent van Gogh's "Flowering plum tree" on the front. The picture seems almost oriental, which can be explained by the Japanese prints that were such an inspiration to Van Gogh. This faux leather bag is padded, equipped with a logo hanger and is as practical as it is beautiful: 36 cm wide and 38 cm in height, this Van Gogh shoulder bag offers plenty of space. In addition, the padded interior has a zipper pocket and two small slots to store your mobile phone and keys for example. Van Gogh was a great admirer of Japanese art. It made him happy and cheerful. He made three paintings based on Japanese prints from his own collection. For his first copy, he chose Utagawa Hiroshige; the plum tree teahouse in Kameido. He literally copied the composition, but he put stronger emphasis on the colors of the background and blossom. He chose red and blue tones for the trunk in the foreground instead of black and grey. He also added two orange decorative frames with Japanese characters, which he took from another picture: The courtesan Nishikig. Without knowing their meaning, he copied the names of the prostitute, the brothel where she worked, and the red light district in Tokyo.